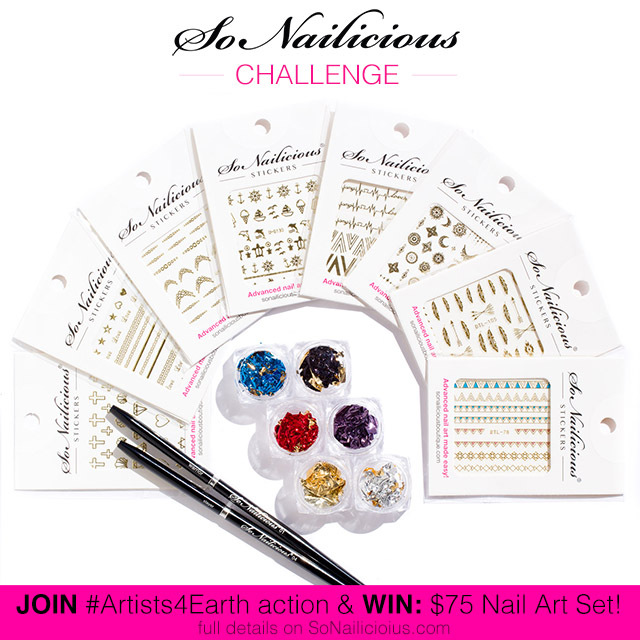 Your Invitation to Join The #Artists4Earth Nail Art Challenge! Exciting times nail art warriors! The SoNailicious challenges are back!!! 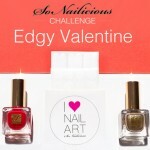 This time, however, our nail art challenges will be so much more than just a competition. While honing our nail art skills we will also be doing something good for our planet. In fact, we will be fighting for it! As they say beauty will save the world, so prepare your best nail art brushes and vibrant colour as we create most beautiful designs for the #Artists4Earth action. But why? What this #Artists4Earth action is about? Well, as I’ve been learning more and more about the global climate change, pollution and wild life disappearing at the alarming rate, I became quite depressed (to a degree I had to take medication and visit doctor weekly). I found it very difficult to cope with the fact that the world is heading towards another global extinction and at much faster rate than anyone expected. Which made me unable to focus on my work. Hence my absence from SoNailicious. There are a lot of evidence and warnings from scientists – read this, this and this to learn more. 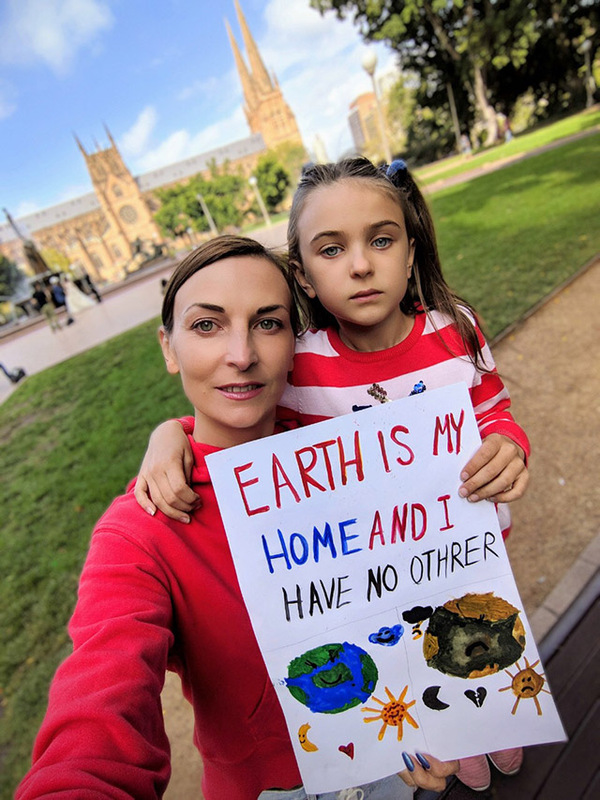 Most recently, you may have also seen, Anastasia and I’ve attended the Global Climate Strike rally in Sydney! Because eventually I decided to take action, and like a true nail art warrior, instead of being depressed I decided to act and do whatever it takes to rise awareness about the climate crisis. If our governments fail to act, than it’s our, ordinary citizens’ duty to take action and stand up for what’s right. The Earth is our only home, we don’t have any other. We MUST change the way we treat her now, otherwise a terrible catastrophe will happen. I know many of you are concerned about the climate crisis too. So do something about it together! Because every little bit counts, every smallest action contributes to the main goal. Together we are power, together we can change the world. As Margaret Mead said: “Never doubt that a small group of thoughtful, committed citizens can change the world; indeed, it’s the only thing that ever has” and I strongly believe we will. Because there will be no second chance, there will be no room for errors and there will be no spare planet Earth for us to relocate to. The Earth is our only home and I count on you to protect her! Just like all SoNailicious nail art challenges, this one is super easy and totally doable. All you need is to create one (or more if you like) themed nail design during the two weeks that each challenge will run.. Share your nail design along with a special message (explaining why you created your manicure) on social media and that’s how we will rise awareness! Each month I will announce new theme and each month together we will be creating various nail designs inspired by our beautiful planet and her inhabitants. Our 1st challenge is dedicated to Endangered Species and will run from 30 March till 12 April. It’s a great way to get to know all the wonderful animals that really need our help. For inspiration take a look at this endangered animals list. The task is to create a design inspired by an endangered animal, bird or fish and explain why you choose this specific creature, what dangers it faces and what must be done to save it. Of course, the more creative your manicure is, the better! Feel free to use gel, polish, any kind of stickers or 3D nail art decorations. 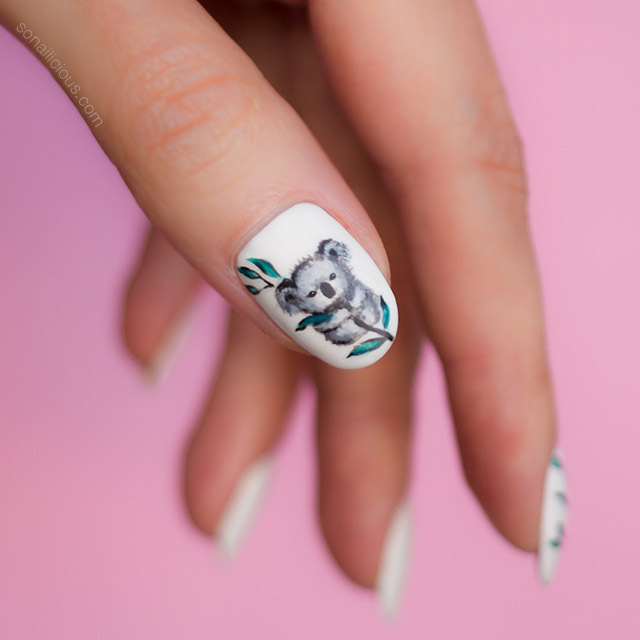 Create a nail design (as many as you like) inspired by your favorite endangered animal, bird or fish. Post your nail design(s) on Instagram, Facebook or Twitter any time from 30 March – 14 April 2019. Optional: invite others to join. The more, the better! To thank you for your support I’ve also prepared some special prizes for participating! 10 SoNailicious Stickers, incl. the entire Golden Summer collection, plus two extra popular summer styles. 2 SoNailicious brushes – Warrior and Slayer – because every nail art warrior needs their perfect ‘weapons’. 6 metallic foils (full set) – abstract manicures are trending now! All that, delivered to your door! Runners Up – the 12 best nail designs will be featured here on SoNailicious.com after the Easter, on 26 of April. The 3 finalists will also get a feature on our SoNailicious Instagram. The winner will be chosen from 3 finalists via public voting on SoNailicious’ Instagram on the 15/16th of April. Sound exciting? Let’s get started! Can’t wait to see your creations! P.S. To get some inspiration for the challenge, check out this Endangered Species list and this much bigger list.